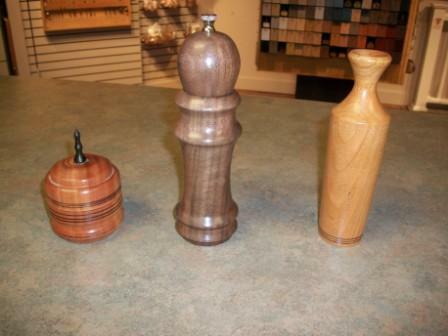 General Woodcraft is proud to announce our new Woodworkers Blog. If you are a woodworking professional or woodworking hobbyist, we want to hear from you! We have been supplying hardwood lumber and fine veneers to the woodworking community for over sixty years. We meet all sorts of wonderful people who turn their skills and passion for fine woodworking into remarkable projects. Whether you are a cabinet maker, wood carver, furniture maker, boatbuilder, clockmaker, finish carpenter or woodworker of any type, we want to hear from you! If the smell of freshly cut wood and the buzzing of power tools gets your heart racing just a little, you're in the right place. Send us pictures of your woodworking projects! Tell us stories about your woodworking projects! We would love to hear your woodworking success stories and any woodworking tips or techniques that you find useful. General Woodcraft specializes in all sorts of native hardwood species such as; Ash,Basswood, Birch, Red Birch, Native Cherry, Red Oak, White Oak, Poplar, Maple, Walnut and lots more. Additionally we offer a variety of exotic hardwood and softwood species such as Teak, Bamboo, Phillipine Mahogany, Spanish Cedar, Honduran Mahogany, Purpleheart, Lacewood, Lyptus, Wenge, Cocobolo, Ebony, Leopardwood, Rosewood, Padauk, Zebrawood and lots more! Wood is one of the only natural resources in the world that will regenerate itself in our lifetime. Whatever your woodworking project, whatever your favorite wood species are to work with, please, feel free to go ahead and make a little sawdust!